Being one of the traditional Universities in India, the University of Kerala had by and large catered to the academic needs of the students from Kerala and the neighboring states in India. The University has responded to the recent changes in world education scenario by promoting students and faculty from foreign countries to study/teach in the University of Kerala. Recognizing the importance of inter-cultural and inter-institutional interactions in enriching the academic community, the University has envisaged the involvement of its foreign students and faculty in its academic research activities and also in the higher education programmes. This policy of the University is strengthened by the International Student Exchange Programmes and other international endeavors the University has commenced in the recent past. Students and faculty from neighboring countries and also USA, UK, Middle-east and Persia, Germany, France, Sweden, Italy have studied/taught at University of Kerala in the recent past. Specific queries if any, should be emailed to head of the department concerned (please see the Depts and Centres link in Home Page). The fees for the Programmes vary from US$ 200-600/semester for graduate programmes (BA/BSc/BTech etc), US$ 300-750/semester for Masters (MA/MSc/MTech), US$ 450-900/semester for MPhil Programmes. For PhD the fees varies from US$ 1200-2000/year. In addition, admission fee of US$ 50 and Registration Fee of US$ 100 are also applicable. The detailed guidelines for admission and the application form are available in the following links. Kerala, located on the south-western tip of India, is one of the top 50 tourist destinations of the world (selected by National Geographic Traveler). Kerala, fondly called God’s own country, is blessed with striking greenery, tranquil stretches of backwaters, lush hill stations and exotic wildlife and a long sea coast with serene beaches. It has a moderate climate that almost anyone can easily adjust. No special clothing is required to live in Kerala. In the city of Thiruvananthapuram (Trivandrum) where the University is located, the warmest it gets (March-May) is around 36°C and the coldest is 22°C. The heavy rains of the Monsoon arrive in June-July and Oct-Nov is also rainy. The humidity is relatively high because of the long sea-coast. Compared to major cities in the world, Cost of Living is quite affordable. 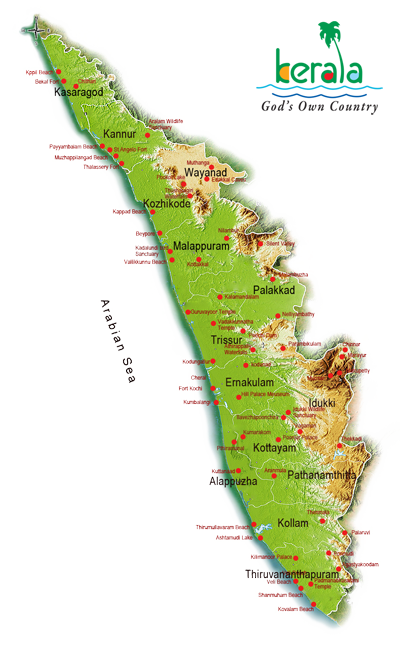 The nearest metropolitan city to Trivandrum, Chennai ranks 136th in the world in cost of living, in 2009. Kerala has a unique culture of peaceful co-existence of all religions. Its religious mix is quite unlike the rest of India. It has about 50% Hindus, 25% Christians and 25% Muslims. Christianity in Kerala is believed to be dating back to AD52 and Islam took roots during the time of the prophet himself. Successive governments also practice special schemes to protect minority communities and disadvantaged groups. Gender balance is heavily in favor of females in Kerala, with its tradition for leadership among women (in 1816, a part of Kerala had a queen who was 13 years old). In the Kerala University also one will see that most of the Departments have women students outnumbering men. Freedom of student activities is encouraged and protected. Students have representation in every body of authority in the University. Democracy is vibrant – Kerala has voted out of power almost every Government in the past 30 years. Freedom of expression is given prime importance. Drug abuse is a serious crime in India. Alcohol consumption is prevalent in Kerala, but heavily discouraged by the society. The Government itself has outlets to sell liquor to prevent spurious liquor from circulation. Kerala has no legal recognition for gay and lesbian relationships. No specific dress code is enforced, but visiting students and faculty are advised to conform to norms they can easily observe, to avoid receiving and giving unpleasant culture shocks. Classical art forms, colourful festivals, Ayurveda, the ancient Indian system of medicine and Panchakarma, the rejuvenation therapy in Ayurveda go along with modest super-markets, clubs, play fields, cinema theatres. Food is traditionally spicy and hot. Rice and Indian bread (Chapatti and Parotta) are very common. Of late, non-Indian cuisine is increasingly available. Coconut is generously used in cooking, as both paste and oil. Both vegetarian and non-vegetarian (Chicken, beef and meat are all popular). Hear what some of our foreign students / faculty have to say about studying / teaching in University of Kerala. "After my BTech Degree, when I started looking for doing my Masters in a foreign university, I came across University of Kerala, one of the recognized Indian Universities where the MSc and PhD programmes were run by good scientists and teachers with solid academic and scientific credentials. Moreover, the language requirements seemed liberal and the medium of instruction was English. University of Kerala provides good academic courses especially in computer science, bioinformatics and biotechnology. I have now completed my MSc successfully on august 2009 and I am going to pursue my education to PhD level under the supervision of Dr. Achuthsankar S. Nair at the Centre for Bioinformatics here. Even though I am away from my home, Kerala never lets me feel homesick and it provides me with an ever charming blend of culture, courtesy and tradition. I think studying in India is one of the best decisions of my life and it is an awesome experience." 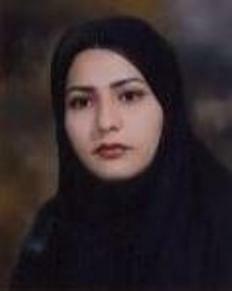 - Baharak Goli, Tehran, Iran (MSc Computer Science, 2007-2009). "From August 2007 until July 2009 I had the privilege to participate in the M.A. course Political Science at the Kariavattom Campus of Kerala University. The decision to study in India originated from my wish to learn more about Indian politics and culture; the decision to go to Kerala was based upon the excellent historical academic reputation of Kerala University, the vibrant political atmosphere in Kerala as well as the state’s natural beauty. From virtually every point of view my two years in Kerala have been an extraordinary cultural and an extremely valuable academic experience.The learning conditions at the university are generally good; the park-like campus at Kariavattom features a new, spacious, cool and well- equipped campus library. What I will always remember about the Department of Political Science is the family atmosphere, the spirit of collegiality among faculty, office and library staff. Various functions such as to celebrate Onam and Christmas or collective cleaning activities tremendously helped in strengthening social bonds.The lectures were interesting and rewarding and numerous national seminars, workshops and conferences were organized by the Department in which students were encouraged to actively participate. These functions tremendously widened the horizon of students and introduced them to the Indian and global academic culture. I am grateful that I have had the opportunity to live and study in the tropical paradise Kerala with its friendly and hospitable people. Kerala has become a second home to me, and I am looking forward to possibly conducting higher studies at the Department of Political Science of Kerala University." -Sebastian Erckel, Berlin, Germany (MA, Dept. of Political Science). - Amirali Raeisosadat, Tehran, Iran, (PhD, Dept. of Biotechnology). 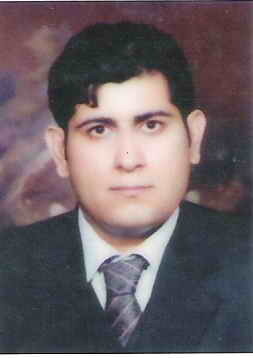 "I am working at the University of Kerala from Aug 2009 to Feb 2010. 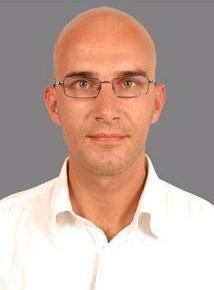 I am teaching an MTech course in computer science, and an MSc course in bioinformatics. My home institution is Muhlenberg College, in Allentown, PA, USA. I have a Fulbright-Nehru grant from the US-India Educational Foundation (http://www.usief.org.in) which provides grants to Americans to study and teach in India, and to Indians to study and teach in the US. All of the students, faculty, and staff at the University of Kerala have been friendly and helpful. I am having a wonderful time, and will be very sorry when I have to leave." 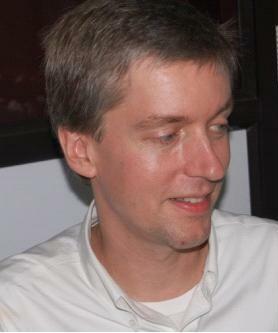 - Clif Kussmaul, Pennsylvania, USA (Fulbright Faculty, Centre for Bioinformatics and Dept. of Computer Science). The University of Kerala has widened its horizons by entering into academic cooperation with some foreign Universities like Valladolid of Spain and Claremont of the United States of America. The UGC has identified the University as one of the 26 institutions selected for promotion of India Studies by foreign students. 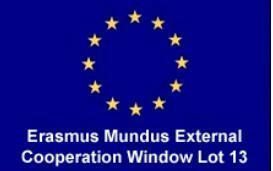 The Erasmus Mundus External Cooperation Window Lot 13 mobility scheme is part of Erasmus Mundus, an exchange project funded by the European Commission and aimed at increasing cooperation and knowledge exchange between Europe and other parts of the world. EMECW13 focuses on exchange between Europe and India; 12 European and 8 Indian universities are partners of the consortium. Through EMECW13, students, researchers and academic staff from Europe and India will have the opportunity to study one of the partner universities thanks to a scholarship that will cover all expenses. For more details, visit www.erasmuswindow13.org or www.eminte.eu Dr. M. Baboo Nair, Lund University is currently visiting Kerala University as Visiting Professor under this scheme. The flagship international educational exchange program sponsored by the U.S. government, widely known as the Fulbright Program, is designed to "increase mutual understanding between the people of the United States and the people of other countries." With this goal as a starting point, the Fulbright Program has provided more than 273,000 participants-chosen for their leadership potential-with the opportunity to observe each others' political, economic, educational and cultural institutions, to exchange ideas and to embark on joint ventures of importance to the general welfare of the world. For more details, visit http://www.usief.org.in. University of Kerala has faculty members under the Fulbright Scheme in Bioinformatics, Computer Science and Political Science.